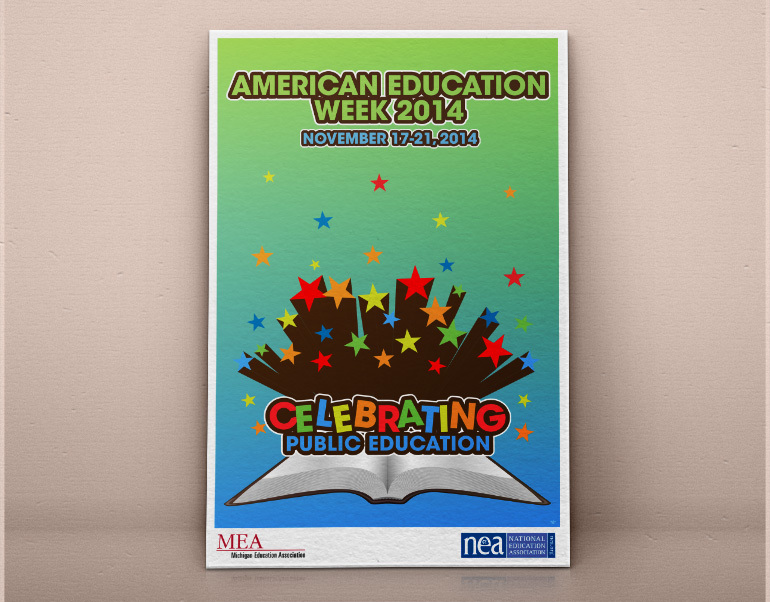 The Michigan Education Association celebrates American Education Week each year. 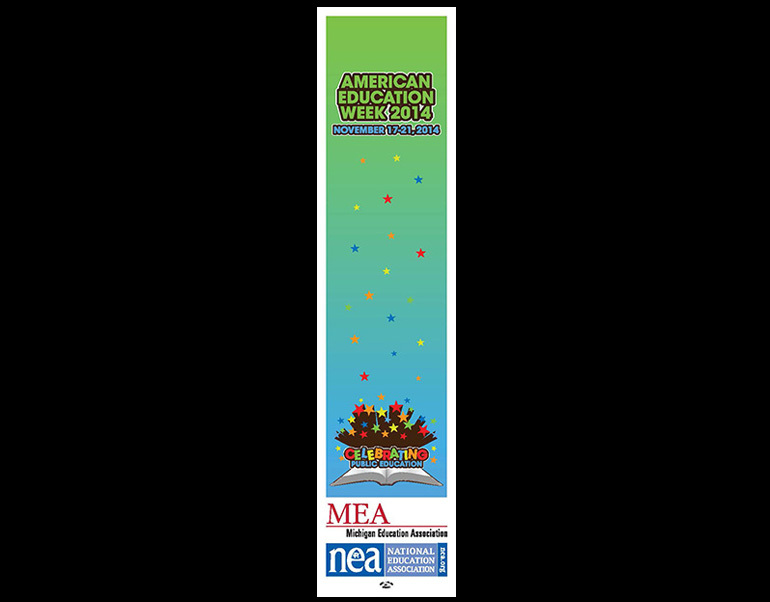 While the NEA does produce materials each year, the MEA typically comes up with their own theme connected to their overall theme for the year. 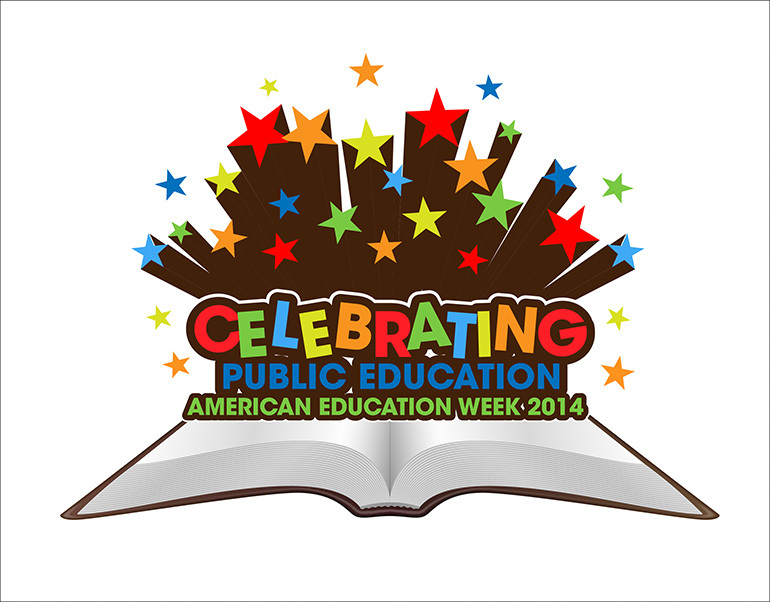 This year’s theme focused on celebrating public education and those that work in public education. The logo emphasizes the celebration part as well as the excitement of learning. 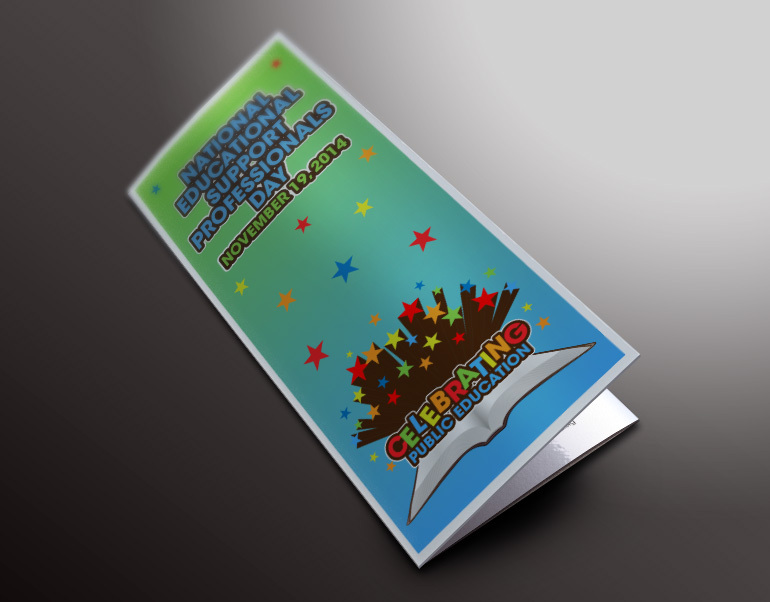 The logo was then used for a bookmark, poster, and card that can be ordered for the membership to distribute at their schools.